Continuing a performance track record that span 26 years over multiple contracts, Weston provides safe, high-quality, cost-effective, and timely service to the Illinois Department of Transportation (IDOT). IDOT plans, constructs, and maintains the extensive transportation network, which includes state highways and bridges, for Illinois. IDOT is also responsible for the safe maintenance of its operational facilities statewide. These areas of oversight often require extensive infrastructure modifications and/or acquisition of additional right-of-way (ROW) property. In the course of this work, regulated substances are frequently encountered in the subsurface soil and groundwater located in the ROW and may require evaluation and management to complete the project. These environmental issues can often create severe logistical and technical challenges for IDOT. Over the past 26 years, Weston has executed on 10 successive contracts for IDOT by primarily conducting environmental site investigations and designs, emergency response actions, environmental compliance assessments at IDOT’s operations facilities, and implementation of a web-based Environmental Management Information System (EMIS) for IDOT maintenance facilities throughout the State of Illinois. 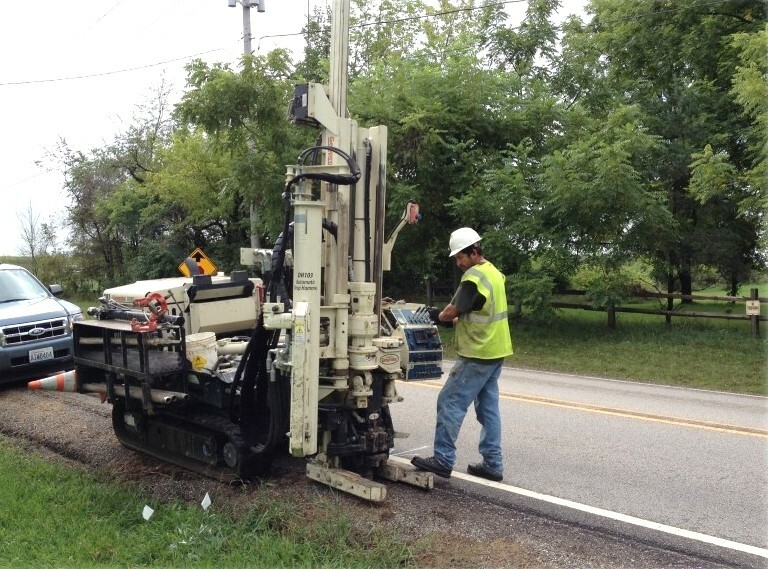 Site investigations include sampling, testing and analysis of soils and groundwater, development of recommended remedial requirements for existing and proposed ROWs, prevention of contaminant migration, protection of construction workers, development of soil management strategies, and estimation of cleanup costs. Weston also provides necessary and qualified subject matter experts to perform work in the central office and provide expert testimony as needed for IDOT. The Weston IDOT team continuously coordinates efforts through IDOT program managers with IDOT project coordinators, design, planning, and construction engineers to ensure successful, on-time, and under-budget completion of projects. Our thorough understanding of the ever-changing federal, state, and local laws and regulations affecting work under IDOT programs has allowed for the successful implementation of these projects as we also anticipate future needs and plan accordingly.